I’ve been rather intrigued with the rich minerals found in the water and mud of the Dead Sea. They are 100% natural and is said to provide beautifying benefits as well as therapeutic powers even on very sensitive skin. My favorite is Dead Sea mud, which I’ve tried at some of the facial spas before. This ingredient is said to reach deep into pores, thoroughly cleansing and removing grime that impedes the nourishing process. It also helps tighten pores and stimulate circulation, leaving your skin with a smooth, healthy glow. The mud can also be used as a pack for sore joints or as a hair pack to alleviate dandruff and oily hair conditions. Salts from the Dead Sea have also been legendary for centuries for their therapeutic and beatifying properties on the skin because they contain 21 minerals including magnesium, calcium, sulphur, bromide, iodine, sodium, zinc and potassium, which are known to treat, detoxify, and cleanse our bodies. In addtion, Dead Sea salt removes dull, dead skin cells and improves skin regeneration. 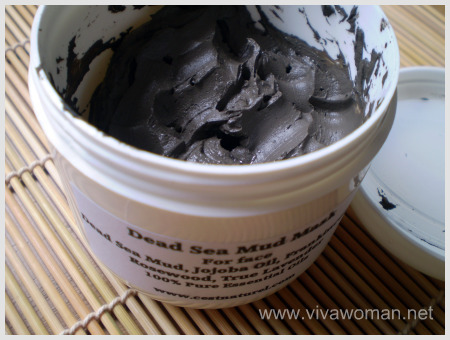 This is the Dead Sea Mud Mask I’ve been using for awhile, compliments from C’est Naturel. It contains Dead Sea Mud, Jojoba Oil, Frankincense, Rosewood and True Lavender. Although it looks messy, it’s easy to apply and easy to remove and I especially like how fine it feels when I apply the mud with my bare fingers! I can’t say for certain how this has improved my skin specifically but I really like the mask because it is stimulating and invigorating to use. Plus I feel my face is thoroughly cleansed after using this mask as the mud has the ability to reach deep into pores. This Dead Sea/Organic French Gray Sea Salt is slightly more messy for me though. 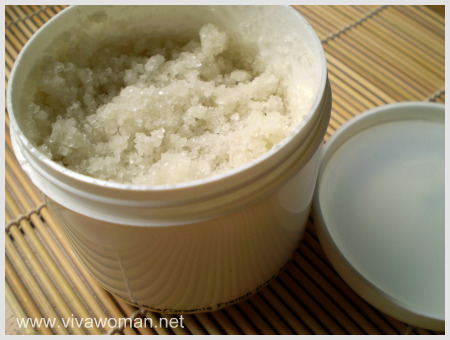 In fact, I didn’t really like it the first time I used it because it left my skin feeling really oily. The entire bath area was also oily because of the essential oils and I have to give the floor a scrub over afterwards! However, I grew to like this over time because it really made my skin feel soft and smooth. Definitely more superior than my homemade Epsom salt!Â My skin felt kind of warm when scrubbed with this salt and that made me feel very relaxed afterwards.Â And the best part is that I didn’t even have to moisturize my body after using this scrub because of the natural oil content. But I did have to be careful to ensure I have no cuts or open wounds on my body before using this scrub to avoid sizzling pain! Overall, I would say I like these two products in particular the Dead Sea Mud Mask.Â However, I can’t say how the skin on my face has improved since I only use this once or twice a week at most.Â But the immediate effects are a cleansed face, soft skin and positive feelings. I have tried using the mud on my body where I have these red spots and they seem to have helped reduce the redness but I am not sure if it is entirely due to this product as I’m also using Yuan soap. Prices for the Dead Sea Salt start from S$13 while the Dead Sea Mud starts from S$21.Â Customization is available and you can either pick and choose your own combination of essential oils or let C’est Naturel customize for you according to your skin condition. Free delivery is available for oders above S$120 and a delivery charge of S$5 applies for purchases below S$120. Alternatively, you can arrange for self-collection too. Yeah, maybe you can find something in M’sia. Over here, we have a number of companies selling them on mobile pushcarts at department stores. Yes, not bad considering the tub size. Dead sea mud mask..lol. I got one from V&M. The first time I used it, I broke out and had red dry patches all over my face. It was horrible. I decided to let it have another go, after my skin had recover, about 2-3 months later, I tried it again. Same results. After that I swore off all dead sea mud masks. lol. The V&M products seem to give different pple different results. Some raved, some nay. But it could be the other ingredients that didn’t agree with your skin cos if I’m not wrong, their products isn’t just purely Dead Sea mud right? i agree… i’m quite happy with the V&M msk. the only problem was the price, so despite me liking it i’m not gng back. 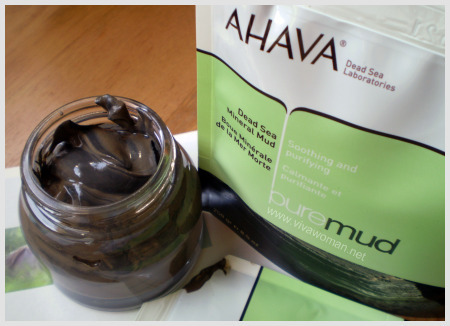 have to search for other alternatives for dead sea masks though… keen to try Avaha. I can’t remember the price I checked last time but I remember some of their products were not cheap. I guess the sales people want to make commission so that’s why they’re more ex. 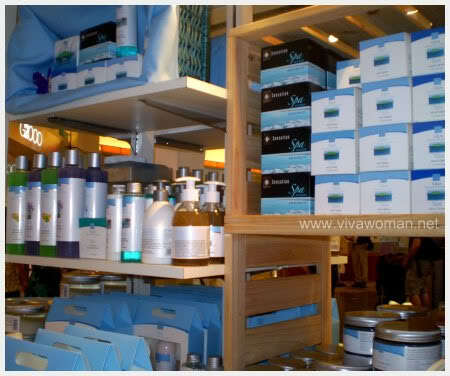 I guess in time, they have to reduce their price cos there are so many similiar products coming out. Viva Woman, You said it all, and so very true. The Dead Sea is truely a natural wonder not to be taken for granted. Pls were can I get the product here in nigeria! 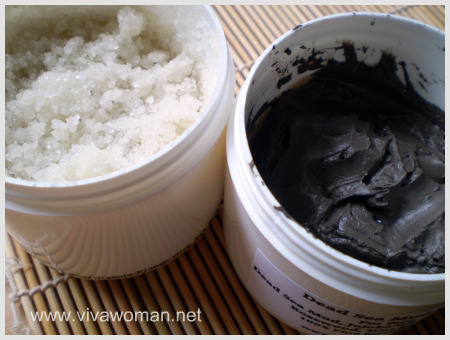 Hi Sesame, can you please share which you prefer, dead sea mud mask or Rhassoul clay? Do you alternate between these 2 products? Thanks. Probably rhassoul clay for me. I don’t alternate…in fact, it’s been awhile since I stopped using them.